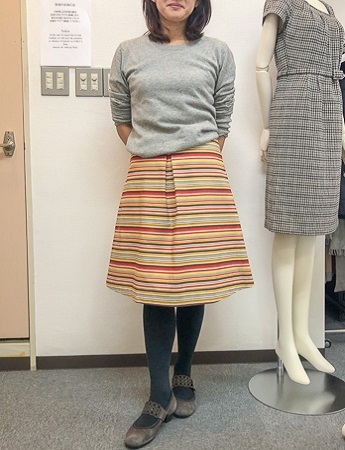 Student who brought a class her skirt sewn at home during the winter holidays and tried it on. 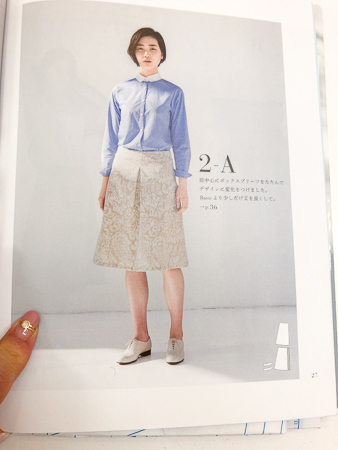 She referred to the design of the second pic. 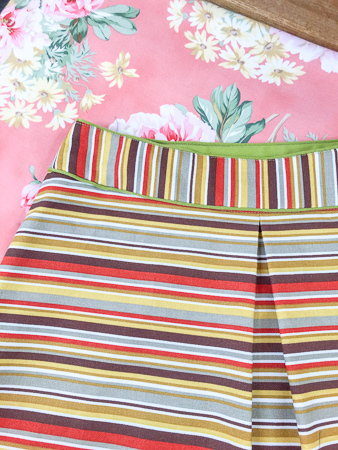 Using left over fabric that she sew another skirt before. going to sew same design next work. She is in full understanding of difficult parts. So lets clear these on next lessons.